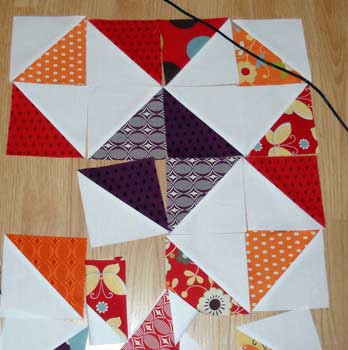 or a classic pattern: broken dishes. 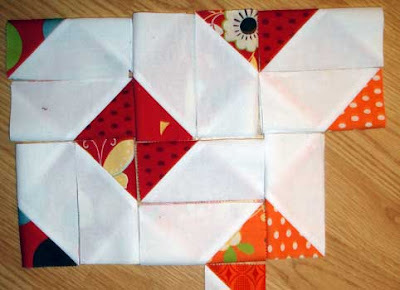 I like how pinwheels seem to appear and disappear. 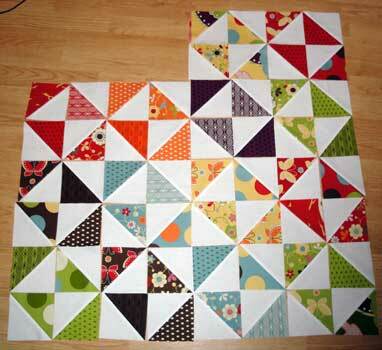 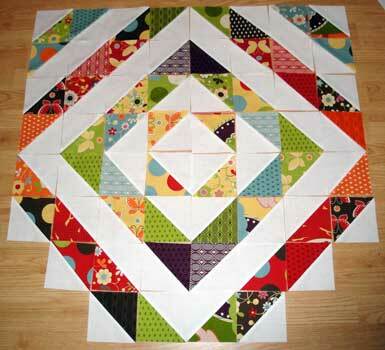 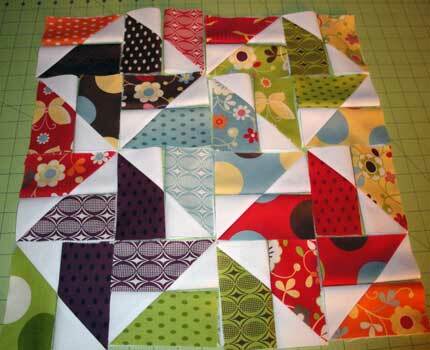 or pinwheels if I emphasize the other half of the cut block.